Are you looking for a studio to rent in the city centre of Tours? 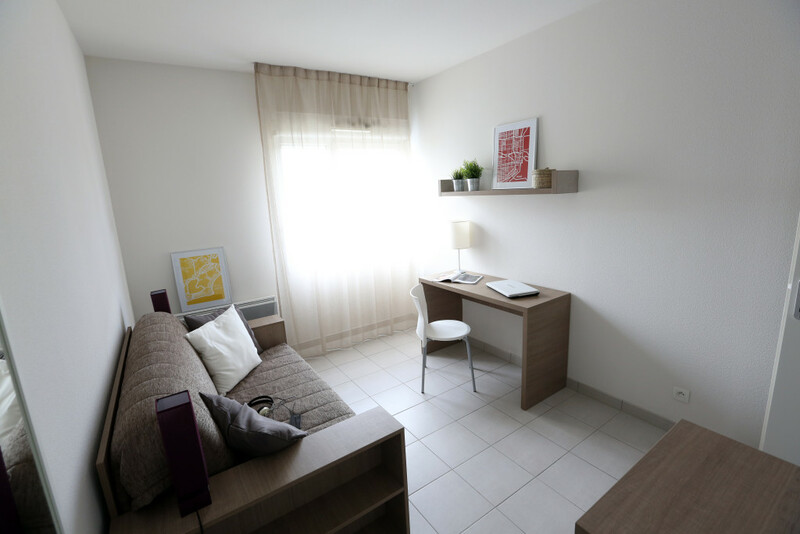 Our Study’O residence Tours is ideally located in the centre of Tours, in front of the Campus of Grand-Mont, Faculties of Science, nearby shops and public transport. Study’O in Tours is a residence with 127 apartments, all furnished and decorated with care, available for rent as from €432 / month. Your rental studio in the city centre of Tours is equipped with a fully equipped kitchenette, a sofa bed (140 x 190cm), a desk area, a bathroom with shower and toilet, and a broadband Internet connection. You will find all the services and conveniences to make sure that your moving in and your life in our residence will go smoothly, namely: linen rental, laundry self-service, household, car parks… Everything has been designed to make every day’s life easier. A dedicated team is on site to show you around and guide you whenever you need assistance. Furthermore, the reception of this rental studio in the city centre of Tours is open from Monday to Thursday from 8:30 AM to 1:30 PM and from 3:00 to 6:00 PM and on Friday from 8:30 AM to 1:30 PM and from 3:00 to 5:00 PM. Go to http://www.studyoresidences.fr/, to book your rental studio in the city centre of Tours now.